The day before yesterday I created a new role (writers), and when, after adding quite a few modules, I wanted to add another earlier today, I discovered there was no way for me to do this anymore, nor to edit the role I already created. Now, I am a newby with Drupal, only started out about 4 days ago, so I probably (un)ticked a box somewhere I shouldn't have, so I hope someone can help me out figuring out how to change this? Looks like you're on /admin/people/permissions, which is the page for configuring permissions per role. 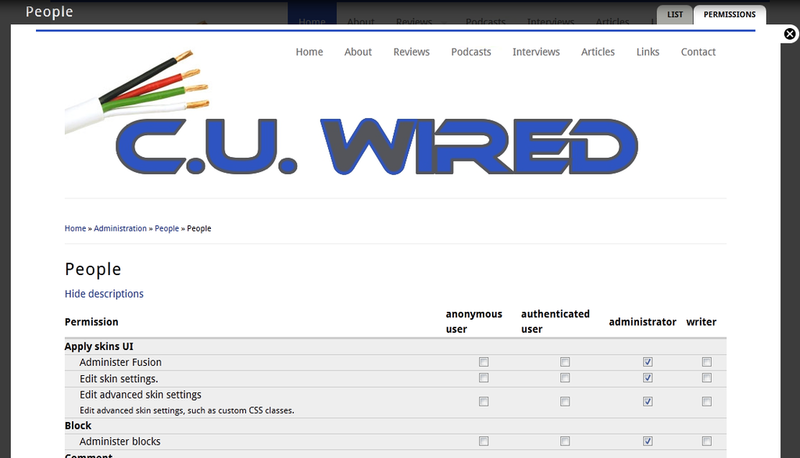 You want to be on /admin/people/permissions/roles, which is the page for configuring the roles themselves. If you can access /admin/people/permissions/roles, you'll be able to add more roles there. Make sure you've given the 'administrator' role all permissions. Scroll down and make sure your account has the role 'administrator'.